Mike Burnett is the one good memory Savannah James has of living in Blackfoot Falls, Montana. His gentle smile was the only kindness she knew before she left town under a cloud of scandal. Years later, the quiet cowboy is also the only one who recognizes her. Savannah’s torn between wanting to hide her past and wanting to show everyone who she’s become. For Mike, Savannah’s history isn’t as important as who she is now. And he can’t understand why such a beautiful and successful woman thinks she needs to prove herself. 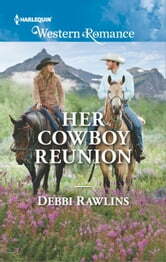 He wants to believe they could have a future…if only she doesn’t let the past keep them apart.